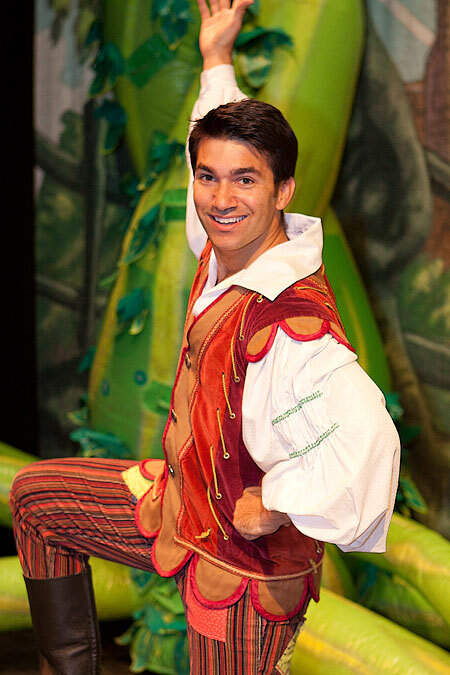 A press morning for the upcoming Pantomime at the Orchard Theatre, Jack and the Beanstalk. 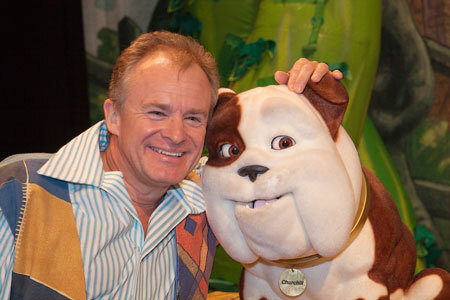 The headline star is Bobby Davro with that well known dog Churchill – oh the power of advertising. Churchie is almost as popular as Alexander Meerkat. 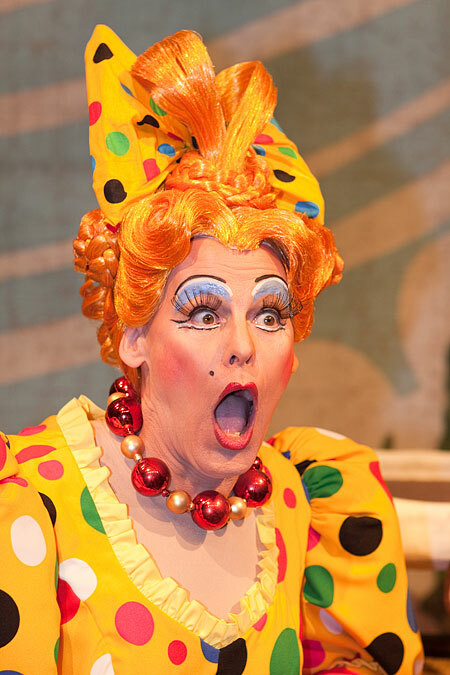 Bobby Davro in Jack and the Beanstalk with "Churchie"
Pantomime wouldn’t be complete without the ‘Dame’ and this production has Nigel Ellacott playing the role, complete with excessive wigs, makeup and frocks. And the hero? Well Jack is played by Wayne Perrey, a good-looking throroughly nice chap. Looks like it will be an entertaining stage production.